Netflix has renewed Marvel’s Luke Cage TV show for a second season. Watch a teaser, below. Deadline reports the streaming service announced the Luke Cage renewal at Comic Con Brazil. The official Marvel’s Luke Cage Twitter page posted, “Always forward. #LukeCage,” along with the teaser. 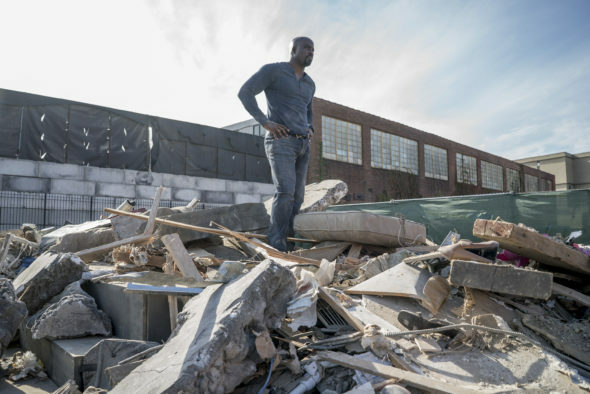 A superhero action drama created by Cheo Hodari Coker, Marvel’s Luke Cage stars Mike Colter who originated the title role on Marvel’s Jessica Jones. Also starring are Mahershala Ali, Simone Missick, Theo Rossi, Erik LaRay Harvey, Rosario Dawson, and Alfre Woodard. Watch the brief teaser for the second season of Marvel’s Luke Cage. Netflix has not yet announced the premiere date for the second season of Marvel’s Luke Cage. When we know, you will. The first season is currently streaming on Netflix. What do you think? Are you a fan of the Marvel’s Luke Cage TV series? Will you stream the second season on Netflix? season 2. bring it on! This show keeps you in suspense the whole way through! Love it!!! I cannot wait for the 2nd season. I thought it had been cancelled. I love the show and continue to watch it.